Oracle DBAs are constantly solving problems... mysteries. That requires a constant knowledge increase. I received more personal emails from my Oracle DBA Training Options Are Changing posting than ever before. Many of these were from frustrated, angry, and "stuck" DBAs. But in some way, almost all asked the question, "What should I do?" Instructor Led Training (ILT) is the best because you have a personal connection with the teacher. I can't speak for other companies, but I strive to connect with every student and every student knows they can personally email or call me...even years after the training. In fact, I practically beg them to do what we do in class on their production systems and send me the results so I can continue helping them. To me being a great teacher is more than being a great communicator. It's about connection. ILT makes connecting with students easy. Content Aggregators are the folks who pull together free content from various sources, organize and display it. Oh yeah... and they profit from it. Sometimes the content value is high, sometimes not. I tend to think of content aggregators like patent trolls, yet many times they can be a great resource. The problem is you're not dealing with the creator of the content. However, the creator of the content actually knows the subject matter. You can somtimes contact them...as I encourage my students and readers to do. Content Creators are the folks who create content based on their experiences. We receive that content through their blogs, videos, conference presentations and sometimes through their training. I am a content creator but with an original, almost child-like curiosity, performance research twist. Content creators rarely directly profit from their posted content, but somehow try to transform it into a revenue stream. I can personally attest, it can be a risky financial strategy...but it's personally very rewarding. Since I love do research, it's easy and enjoyable to post my findings so others may benefit. Online Training (OLT) is something I have put off for years. The online Oracle training I have seen is mostly complete and total crap. The content is usually technically low and mechanical. The production quality is something a six year old can do on their PC. The teaching quality is ridiculous and the experience puts you to sleep. I do not ever want to be associated with that kind of crowd. work. Based on the encouraging feedback I receive it's working! This totally caught me by surprise. I have discovered that I can do things through special effects and a highly organized delivery that is impossible to do in a classroom. (Just watch my seminar introductions on YouTube and you'll quickly see what I mean.) This makes the content rich and highly compressed. One hour of OraPub Online Institute training is easily equivalent to two to four hours of classroom training. Easily. I have also strive to keep the price super low, the production at a professional level and ensure the video can be streamed anywhere in the world and on any device. Online training is an option, but you have to search for it. So there you have it. Because of economics and the devaluation of DBAs as human beings coupled with new technologies, the Oracle DBA still has at least four main sources of training and knowledge expansion. Don't give up learning! Some of you reading may be surprised that I'm writing about this topic because it will hurt my traditional instructor led training (public or on-site) classes. I don't think so. If people can attend my classes in person, they will. Otherwise, I hope they will register for an OraPub Online Institute seminar. Or, at least subscribe to my blog (see upper left of page). 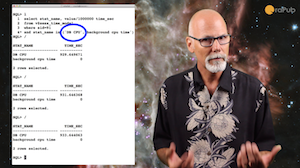 Training options for Oracle Database DBAs are changing. Generally, I don't think they are for the better. Companies don't value Oracle Database Administrators like they used to. And, it shows in the lack of their professional development investment. When I travel a long way from home, I tend to get very reflective about life, death and beyond. On my way home from teaching an onsite two-day Oracle performance tuning seminar coupled with a one-day predictive analysis (forecasting) class in Ghana (yes, Ghana as in AFRICA) I started thinking about how fortunate the Ghana DBAs I taught are. Clearly their management is willing to invest in their DBAs' future. This is very, very rare. Today most Oracle DBAs receive what I call, "Training By Google." You know, blog posts, YouTube videos and various syntax websites. While these are all valuable (I am a content creator myself with my blog posts and videos), they are no substitute for instructor led training. Not even close! 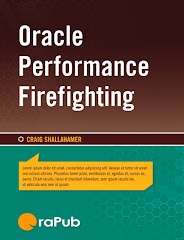 So what is happening that is forcing Oracle DBAs to change their training habits? 1. Training Budget. Over the past five years I have been disappointed (more like disturbed) that most companies do not provide the training DBAs need. They just won't do it. IT managers (not typically DBA managers) believe their staff can get by with "Training By Google." It's stupid and foolish. It tells DBAs they are worthless and leaves them unprepared to perform at their best. And, of course, that ends up hurting the company they work for. Stupid and foolish. Are we then surprised with the results from poor performing systems, down production systems, massive security breaches, and DBAs hopping from one company to another? 2. Travel Budget. A nasty tactic many companies use is to provide a minimal training budget but without a travel budget. If you want specialized and advanced training, you'll probably have to travel to get to it. Maybe not hundreds or thousands of miles, but probably more than you want to commute each day. Essentially the company is splitting the training cost with the DBA and ensuring the DBA really, really wants the training. OK, I can respect that. But, I think a company that does not truly provide training for its employees (human beings that spend a significant portion of their lives doing whatever it takes to get the job done) is cruel and frankly immoral. 3. More Training Options. The good news for Oracle DBAs is there is more information and training options available today than ever before. When the orapub.com website began in 1995, doing a "tail -f" on the web log was a lesson in world geography. It was amazing watching line after line stream by as DBAs from all over the world were looking for Oracle performance materials through the web. Now there is much more available. Training options for Oracle DBAs now include traditional instructor led training (ILT), web sites from content aggregators (people who pull together content for us), content creators (like myself), and online training. 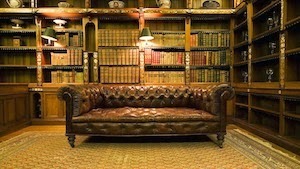 I'm very excited about online training and have made a significant investment in OraPub's Online Institute. So there you have it. 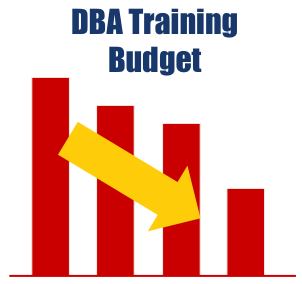 Because of economics, the devaluation of DBAs as human beings and the increase in training options, the Oracle DBA training landscape is changing. If you believe this, the next question is, "What is good content?" That will be the subject of my next posting!